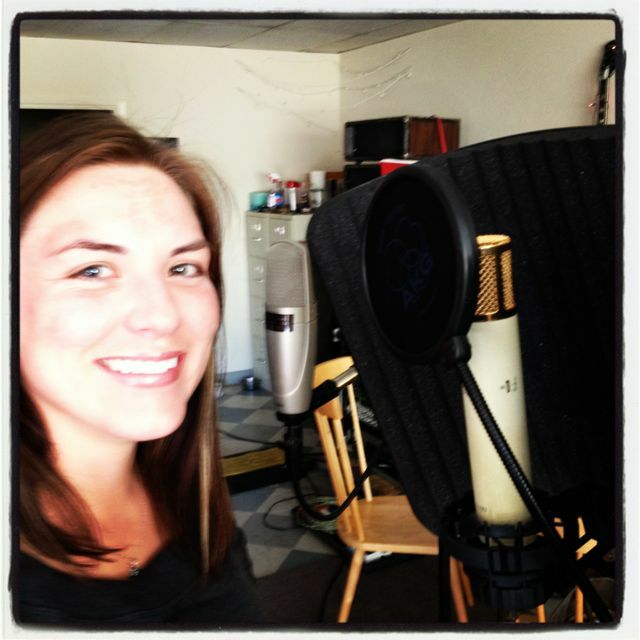 Lilan Kane and her AKG “Tube”…having fun with old school tools! Yesterday, I had the pleasure to work with Ms. Lilan Kane and two of her colleagues, fellow vocalist’s who came in to sing some BG’s on a cover of a Candi Staton tune called, “Evidence”. Besides having a great sense of who she is, Lilan has soul and can back it up. I have the pleasure of working with many local, SF Bay Area artist’s. But for me, this was a first. When Lilan arrived at the studio, yesterday, she was carrying a road case that said AKG on it. Little did I know what treasure I would find inside. It’s day’s, no, moment’s like this that inspire me to keep the doors open at The Cave. 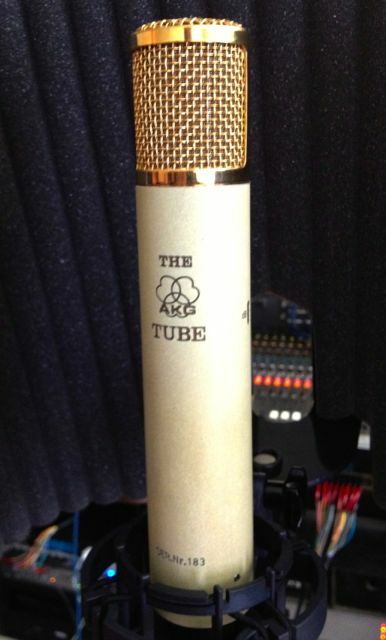 How many artist’s even know what a tube microphone is, let alone own one and have the trust and presence of mind to, “bring it” when they arrive to a session? This was a first for me and it made me happy to find someone else who has as much passion and resolve so as to risk, plunk down the kind of money it takes to own this level of professional equipment and to trust me with it. “The Tube” C12 C12VR It sounds as pretty as it looks. Thank’s for sharing/trusting this treasure with me for your session at the Cave, Lilan Kane! This entry was posted in Cave Stuff by Angelo J. Bookmark the permalink. The lovely and talented Ms. Lilan Kane at The Cave.